When Is the Best Time to Water the Vegetable Garden? How Many Hours of Sunlight Does a Vegetable Garden Need? Companion planting in your vegetable garden can discourage insects and produce higher yields. However, some vegetables are incompatible, and when planted near one another in your garden, they may contribute to reduced crop yields or increased disease and insects. Beans are incompatible with chives, onion, garlic, fennel and leeks. Garlic and onion can stunt the growth of beans. Keep beets away from pole beans and mustard in your vegetable garden. Beets and pole beans stunt each other's growth. Broccoli is incompatible with lettuce and tomato. Both lettuce and broccoli attract the same aphids. Celery is incompatible with corn, as they both attract beetles. Keep your corn rows separate from your tomato and celery plants; they attract the same insects. Onions grow best when they are planted away from beans and peas in your vegetable garden, as they can stunt each others growth. Peas prefer to be planted away from garlic, leeks, onions, potatoes and shallots. Garlic and onions can retard the growth of peas. Do not plant peppers near fennel or kohlrabi as they all attract the same insects. Potatoes are incompatible with a variety of vegetables in your garden. Tomatoes, turnips, pumpkins, squash, radish and cucumbers can impede potato production. Potatoes and tomatoes are attacked by the same blight, so planting them close together creates double incentive for disease. Plant your tomatoes far away from broccoli, cabbage, corn, cauliflower, fennel, kohlrabi and potatoes. Corn attracts a worm that also enjoys tomatoes; kohlrabi can stunt the growth of tomatoes. Manually remove all weeds by hand out of your vegetable garden. Although it is time consuming, it is effective and organic. You must remove all weeds by the roots to keep them from coming back. Boil water and pour it on your weeds in order to kill the weed and the seeds. Be careful to not pour boiling water on the vegetables. 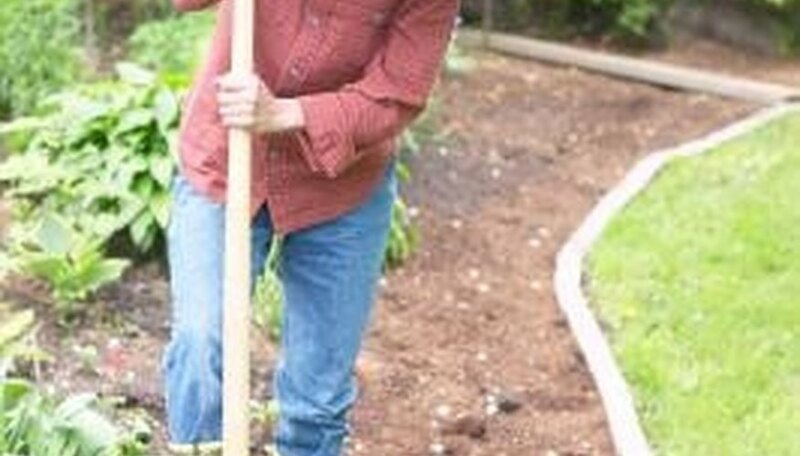 Add mulch to your vegetable garden. Mulch will literally smother and kill weeds. Mulch also helps to retain water and nutrients in the soil. Spray vinegar on weeds, being careful not to spray your vegetable plants. Buy mushroom compost from a garden center or nursery. Buy organic planting soil from a garden center or nursery. You can mix the compost with soil in your vegetable garden rather than purchasing new soil. Mix the soil and mushroom compost using 2 parts soil to 1 part mushroom compost. In the fall, put the organic soil and mushroom compost in your vegetable garden so it can age over the winter. Choose six to eight different plants, all bush varieties if there is a choice. Green beans, peppers, carrots, radish, broccoli and peas are all suitable choices. One vining plant, like tomato or cucumber, can be placed in the middle of your circle. Measure your circle to include six to eight pie-shaped wedges no more than 4 feet wide at the base. You will have walkways between each wedge and a circular planting area in the center of the garden. Create raised beds in your garden with bricks, cinder blocks or railroad ties. Fill the areas with topsoil mixed with compost and rotted manure. Make sure that the soil mixture is about 18 inches deep. When the growing season has passed, pull all dead plants and cover all planting surfaces with a 6-inch layer of dead leaves or straw. In the spring this mulch can be turned into the soil to compost for additional nutrients. The circular design is convenient because your vegetables are easier to reach and water, and there is less weeding in a raised-bed garden. The circular design also adds a decorative element to your landscaping. For every 100 square feet of your vegetable garden, use approximately 4 to 10 lbs. of lime. Blend the lime into the top 8 inches of your garden's soil. Make a list of vegetables that you want to grow. Be sure that your list includes vegetables with various harvest seasons so that you have a constant supply of fresh veggies. Map out your garden on paper. On your map, indicate where each vegetable will be planted in your garden. Place vegetables needing full sunlight in sunny areas. Vegetables needing less light should have some shade. Prepare your soil by checking to be sure that the soil is loose and free of rocks. You can enhance your soil by adding organic matter, lime and some commercial fertilizer. Dig your trenches for each row, but be sure to leave enough room so that you can walk between the rows without stepping on your plants. Plant your seeds according to the instructions on the seed packet label. You may need to use a ruler to be sure that you are placing the seeds in the ground at the appropriate depth. Cover the seeds with dirt carefully and then pat down the dirt to hold in the moisture. Mark your seeds with a marker so you know where things are planted in the garden. Monitor your garden and water according to the requirements for each individual plant. The best time to water your vegetable garden is in the morning, as it will give the plants time to absorb the water before nightfall and will prevent overheating on hot afternoons. Although some plants in your vegetable garden, like basil, prefer as much sun as possible, most vegetable gardens require about 6 hours of sunlight per day. Lay out a drip irrigation system or soaker hoses that can be turned on separately for each garden section. Using a water source close to the ground rather than a sprinkler minimizes the amount of residual water on the plants' leaves, reducing the chance of fungal infections. Apply water to new plants more frequently than established ones; the roots of new plants are closer to the soil surface and dry out more quickly. Water your garden in the early morning to allow plant leaves time to dry during the heat of the day. Apply water when the soil around the base of the plants is dry to 1/2 inch below the surface. Water your plants deeply rather than often. The general rule of thumb is 1 inch of water per week. However, plants' needs vary, and sandy soils lose moisture more quickly than loamy or clay soils. In very hot summers, the need for water will increase for all vegetables. Water plants individually with a watering can if only one plant in an area needs nourishment. 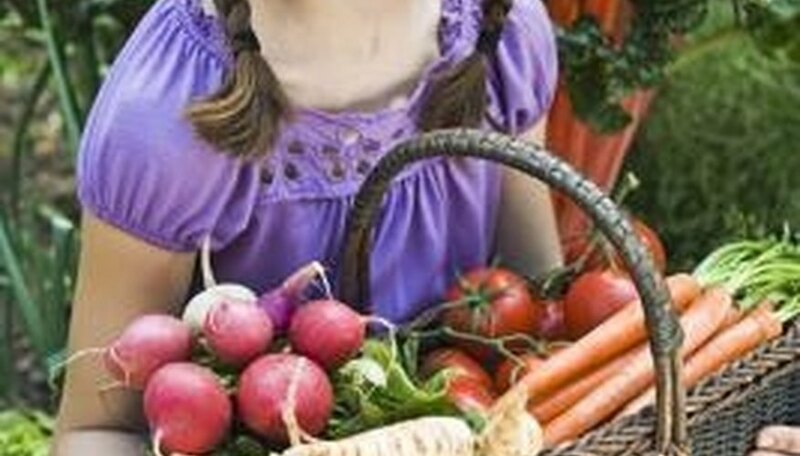 Where you live in Kansas will determine when to begin planting your vegetable garden. The state is divided into three of the USDA's hardiness zones. The parts of the state that are farthest north will be cooler and have a shorter growing period than the southern portions. Cold-weather crops can be planted as early as March in Kansas. This includes lettuce, cabbage, spinach and broccoli. These crops can handle some frost and must be finished producing vegetables by the time summer's heat arrives. Once the last danger of frost has passed, usually by mid to late May depending on where you live in Kansas, it's safe to plant tender, warm-weather vegetables. These include tomatoes, peppers and beans. Transplant or plant seeds that have seeds outside the fruit itself, such as strawberries, blackberries or corn, between the New moon and the 1st quarter moon. Plant vegetable seeds or transplant seedlings that have seed contained inside the mature fruit, such as tomatoes, beans and squashe, between the 1st quarter of the moon and the full moon. Plant all root crops, such as potatoes, garlic and onions, and bulbs such as lilies and daffodils, during the period between the Full moon and the 3rd quarter. Do not plant any crops or flowers during the final quarter of the moon. The 3rd quarter of the moon cycle is reserved for harvesting fruits and vegetables, as it is believed they will keep longer. Use the approximate three-day period of the dark of the moon to pull weeds, till or other garden tasks. 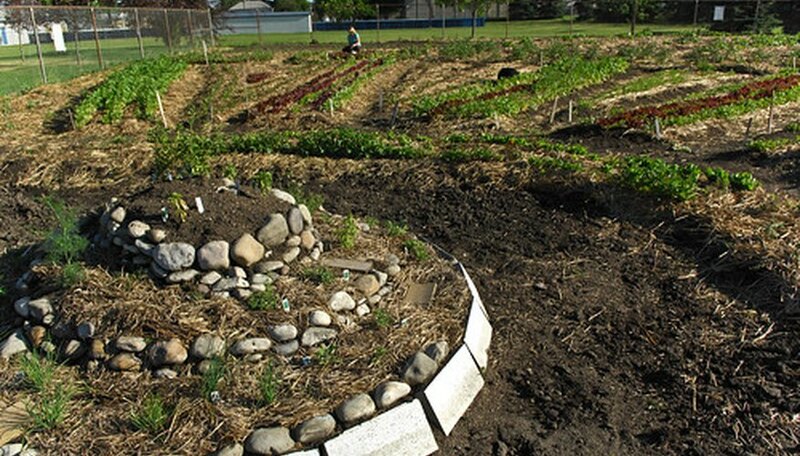 Choose a location for your vegetable garden. Vegetables perform best when they receive six to eight hours or more of direct sunlight. Choose an area that pets and children will leave alone. If deer, rabbits or other wildlife are an issue, fence the entire garden plot. In windy sites, place the garden where a windbreak, such as a fence or group of trees, exists or create one. Place your vegetable garden close to a water source. During peak growing periods, vegetables need regular watering of 1 inch to 2 inches per week. Hand watering is acceptable but time consuming. Consider drip irrigation or soaker hoses. Underground water methods conserve water, and prevent fungal diseases and insect infestations. Mulch pathways between plants further conserve water and prevents weeds from growing. Consider the garden's overall size. The larger the plot, the more time it takes to water, weed and care for it. Beginners should start with a small plot. A 10- by10-foot garden provides a family of four with enough produce for one season. Make a list of the vegetables you like. 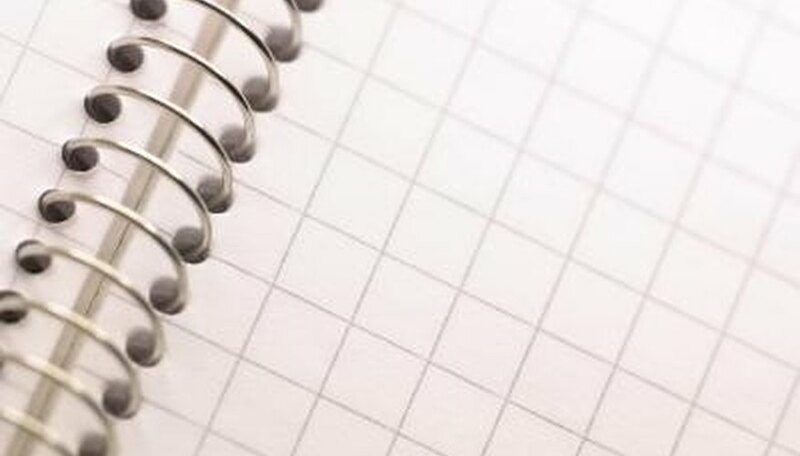 Draw a layout on graph paper of where each specific plant goes. Plant tall crops, such as peas, corn and beans, on the north side to prevent shading of the other crops. The middle should be midsize vegetables, such as tomatoes, squash and cole crops. Plant the ends of the garden bed with low crops such as lettuce and onions.